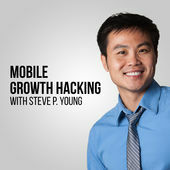 I was recently guest on Steve P. Young’s audio podcast called “App Masters – Mobile Growth Hacking & App Marketing.” Slightly NSFW. If you have an idea for an app, and wanted to hear what it’s like to bring an app to the marketplace, give this a listen. We also touch on rejection, business and serving a tribe, my title as “the first podcaster ever,” even what I tell myself when I walk into an audition that helps me book. Any takeaways you want to share with everyone? Anything that we talked about resonate with you? Let us all know in the comments below.